Very useful asset. Thanks for the great post richard. Cheers John! Thanks for your support! 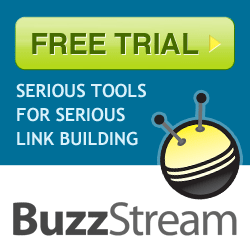 This strategy combined with your deep broken link building method is killer! Great stuff man keep it up. Hey Loz you rock mate and sorry for my late reply! I have a few things that might help you and others speed up this process a little. First being you can remove duplicate domains from within Excel by going to data > remove duplicates when you are removing duplicate links/domains. Second for trimming URL’s instead of doing it twice you could use my little tool to do this here http://www.seoweather.com/trim-urls-to-root-domain-standardise-urls-prefixes/. Third I know you are using MAC but for people on windows when bulk checking trust flow of domains they should use SeoTools for Excel. It has a neat Majestic API UI. Check it out if you haven’t heard of it although I’m sure you have http://nielsbosma.se/projects/seotools/functions/majesticseo/. Anyway keep up the awesome posts Richard, look forward to reading more. Only few are knowledgeable about expired domain link building but with this blog, everything about is laid out in details and visuals. Very detailed guide on expired domains. Well have to bookmark this. How about other services that can do all the above steps? One you should definitely check out is : DomainPeel.com – Great option for those that don’t want to spend time on finding them and spam checking them. Richard, really good resource and very well written and described with supporting pictures. Read many posts on this topic but it is one of the most complete of them. Indeed, this one is a good outreaching approach to build links. Great job and thanks for the share.